Glass, Irony and God – loudlatinlaughing – Euge! Euge! 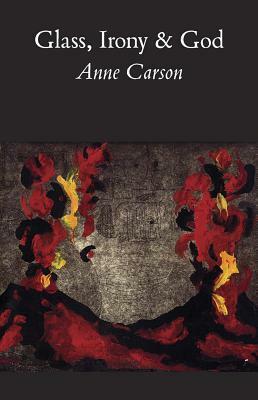 I’m late to the Anne Carson party but I loved her poem The Glass Essay so figured I should go straight to the source and read the collection it was in. The Glass Essay is so meaty and rich that it deserves to be read on paper instead of online anyway, her overcoming grief from a relationship ending by carting the collected works of Emily Brontë out to her mother’s home on the moor in the north. Also in this collection: The Truth about God, TV Men, The Fall of Rome: A Traveller’s Guide, Book of Isaiah, and an essay: The Gender of Sound, which is a roundhouse kick to the face of those misogynistic patriarchal assholes, the ancient Greeks and Ernest Hemingway. Apparently Socrates described Echo as “the girl with no door on her mouth.” Amazing how many examples she packs into a tight 18 pages.